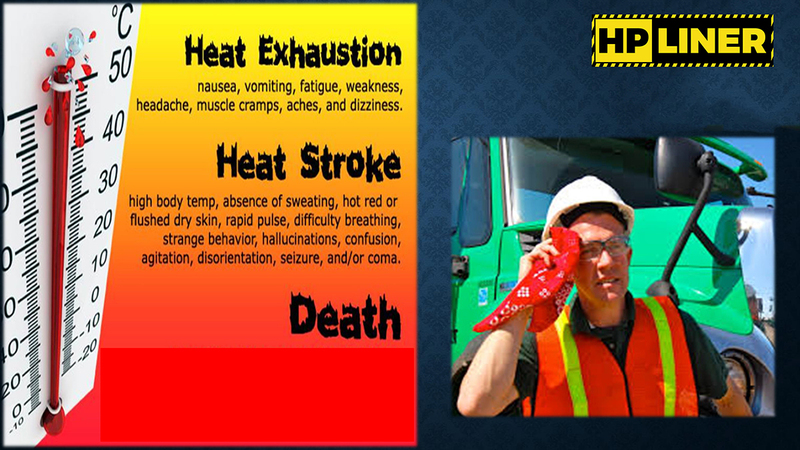 Heat exhaustion/stroke is brought on by exposure to high temperatures for extended periods of time. This can happen in a number of environments and is often exasperated by required personal protection equipment. 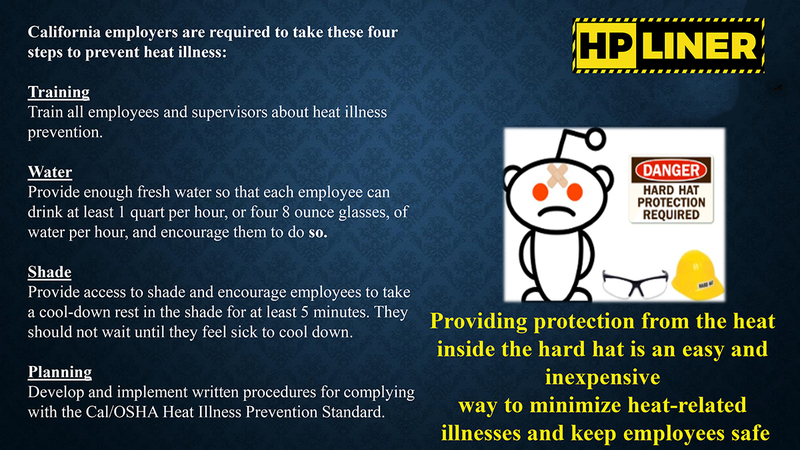 An employer with workers exposed to high temperatures should establish a complete heat illness prevention program. Under OSHA law, employers are responsible for providing workplaces free of known safety hazards. 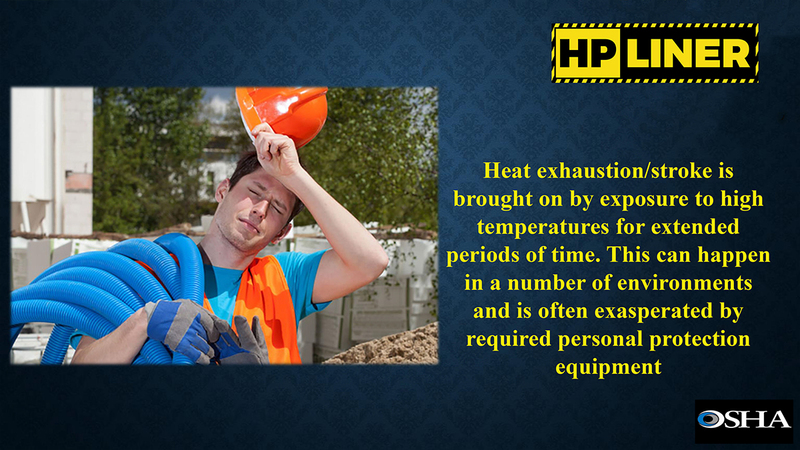 This includes protecting workers from extreme heat. 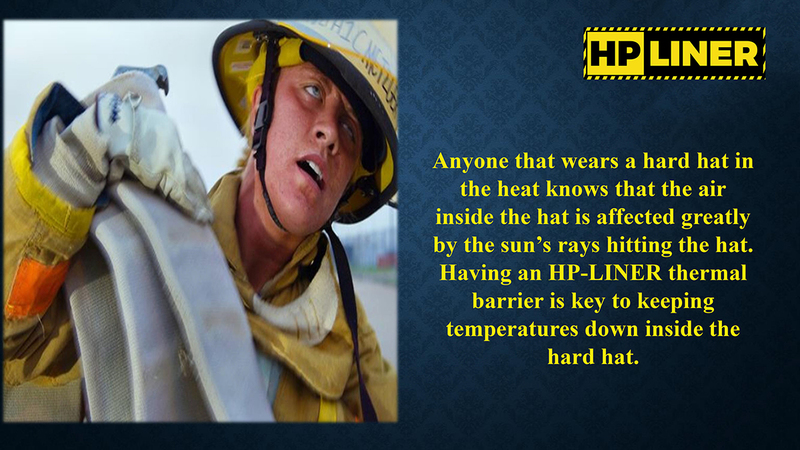 Anyone that wears a hard hat in the heat knows that the air inside the hat is affected greatly by the sun’s rays hitting the hat. 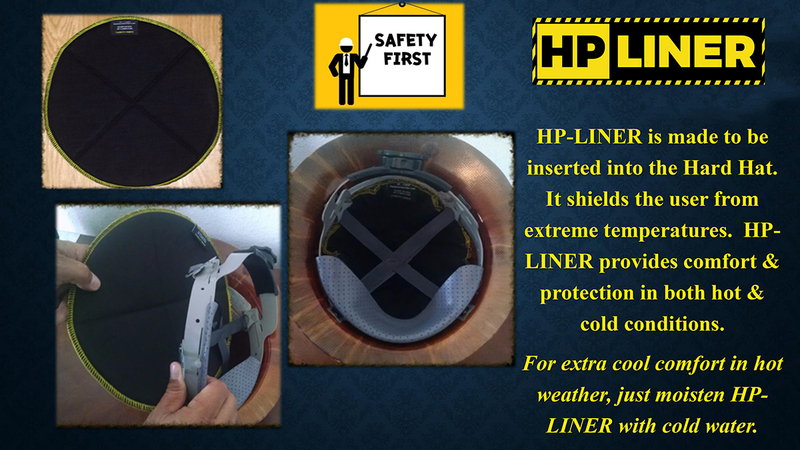 Having an HP-LINER thermal barrier is key to keeping temperatures down inside the hard hat. For extra cool comfort in hot weather, just moisten HP LINER with cold water. 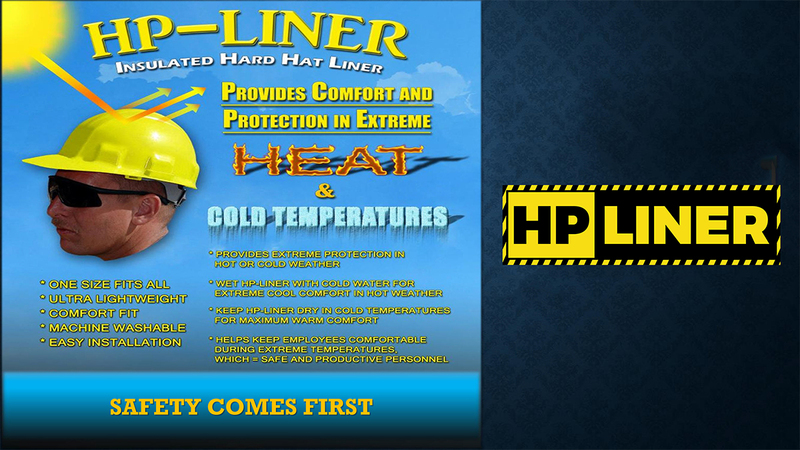 HP LINER provides comfort &protection in both hot & cold conditions. 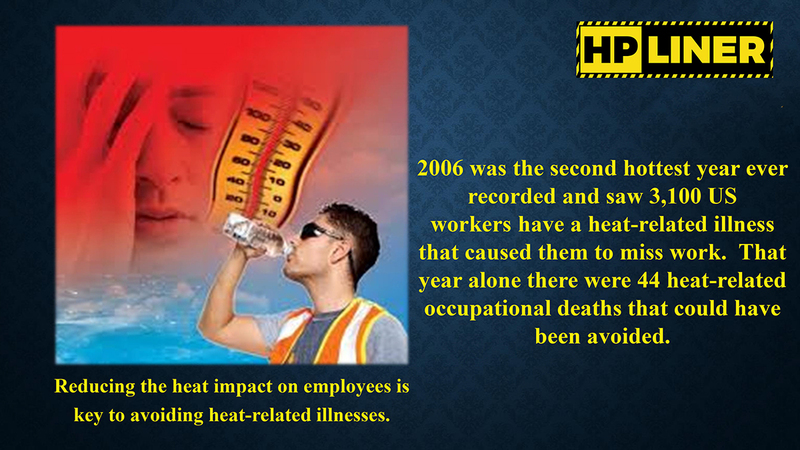 2006 was the second hottest year ever recorded and saw 3,100 US workers have a heat-related illness that caused them to miss work. 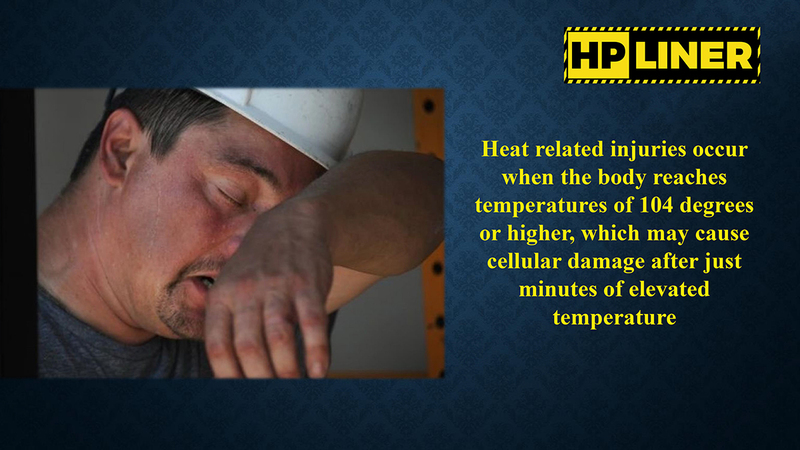 That year alone there were 44 heat-related occupational deaths that could have been avoided.Reducing the heat impact on employees is key to avoiding heat-related illnesses.